Climate advocates stung by defeat in the Senate are folding one of their big umbrella lobbying groups. Clean Energy Works, a coalition of 80 environmental, religious, veteran and labor groups, will phase out its operations this fall as Democratic congressional leaders abandon plans for a sweeping bill to cap greenhouse gas emissions. It is all very well for us to talk light-heartedly about the silly season and the preposterous claims of its denizens, but meanwhile the enemy within are pushing the western world steadily towards a lunatic economic suicide, while the enormities they commit are conveniently given cover by the prevailing frivolity. The US Presidency, for example, having largely failed to recruit Congress into its war on industry, resorts to undemocratic methods by permitting the out-of-control EPA to wage it unconstrained. The mostly sympathetic media report it as just another thread in the rich tapestry of modern life. In the UK , the Telegraph has appointed Louise Gray as Queen of the season and almost daily reports of mostly old scares pour out: so this one did not seem all that different. The Carbon Reduction Commitment is, however, a major frontal attack on the core of British industry, involving not only onerous tax increases and draconian fines, but equally importantly it imposes an enormous administrative burden, just at a time when it can do most damage to business and the national economy. Its history is replete with the nastiest characteristics of the genre. Arising from undemocratically evolved EU diktats, it was formulated by the monumentally failed Labour government and has all the hallmarks of the Brownian love of complexity. Then it has been adopted unchanged by the coalition in a covert way. Rather than give fair warning of the pain to come, the Government has treated the whole ghastly affair as a state secret, so that most of the victim companies have no idea of the nightmare that is about to hit them. It has now been exposed in the middle of the silly season, when the victims are supposed to register for fleecing by the end of next month. One part of the Government is looking to industry to get it out of the current mess, while another part is shackling that industry so that it is even more immersed in a fight for survival. The incredible fact is that the whole thing turns on a preposterous theory based on maligning a wholly benign rare gas that is in fact essential to the existence of life on earth. On the basis of the myth the British have, for example, passively allowed Indians to take over their steel industry, close it down and move it to India . This is just part of a massive migration of industry from the western nations to the Asian ones, no doubt to the satisfaction of the UN administration. Future historians will pinpoint Democratic Sen. Harry Reid’s energy legislation, released last Tuesday, as the moment that the political movement of global warming entered an irreversible death spiral. It is kaput! Finito! Done! This is not just my read of the situation; it is also that of Paul Krugman, the Nobel laureate-turned-Democratic-apparatchik. In his latest column for The New York Times, Krugman laments that “all hope for action to limit climate change died” in 2010. Democrats had a brief window of opportunity before the politics of global warming changed forever in November to ram something through Congress. But the Reid bill chose not to do so for the excellent reason that Democrats want to avoid an even bigger beating than the one they already face at the polls. Not only does the bill avoid all mention of an economy-wide emission cap through a cap-and-tax—oops, cap-and-trade—scheme, it even avoids capping emissions or imposing renewable electricity standards on utility companies, the minimum that enviros had hoped for. Beyond stricter regulations on off-shore drilling, it offers subsidies to both homeowners to encourage them to make their homes more energy efficient and the nation’s fleet of trucks to use cleaner burning natural gas. This is not costless, but it is a bargain compared with the “comprehensive” action on energy and climate change that President Barack Obama had been threatening. Krugman blames this outcome on—you’ll never guess this!—greedy energy companies and cowardly Republicans who sold out. But the fault, Dear Paul, lies not in them, but in your own weakling theories. The truth is that there never has been an environmental issue that has enjoyed greater corporate support. Early in the global warming crusade, a coalition of corporations called United States Climate Action Partnership was formed with the express purpose of lobbying Congress to cut greenhouse gas emissions. It included major utilities (Duke Energy) and gas companies (BP) that stood to gain by hobbling the coal industry through a cap-and-trade scheme. Meanwhile, the Breakthrough Institute, a highly respected liberal outfit whose mission is to rejuvenate the progressive movement in this country, points out that environmental groups spent at least $100 million over the past two years executing what was arguably the best mobilization campaign in history. Despite all of this, notes Breakthrough, there is little evidence to suggest that cap-and-trade would have mustered more than 43 votes in the Senate. This means that lucre is not the only motivating force in politics. Indeed, lobbyists are effective generally when they represent causes that coincide with the will of constituents, which is far from the case here. Voters are reluctant to accept economic pain to address remote causes with an uncertain upside. Heck, they are dubious even when the cause is not so remote and has a demonstrable upside. Take Social Security and Medicare. It is a mathematical certainty that, without reform, these programs will go bankrupt, jeopardizing the health care and retirement benefits of tens of millions Americans. Even though the cost of action is far smaller compared with the cost of inaction, persuading voters to do something is an uphill battle. Yet even in the heyday of the consensus on global warming there was never this kind of certainty. The ClimateGate scandal—in which prominent climatologists were caught manipulating data to exaggerate the observed warming—has significantly weakened this consensus. But even if it hadn’t, climate change is too complex an issue to ever be established with anything approaching iron-clad certainty. Hence, it was inevitable that it would run into a political dead-end. This is exactly what the Reid bill represents. Indeed, if Democrats backed-off from their grand designs to cut carbon emissions 17 percent below 2005 levels by 2020 with sizable majorities in Congress and a “celestial healer” in the White House there is little chance that they will ever be able to accomplish anything better at a later date. And if America—the richest country in the world and the biggest emitter of greenhouse gases—won’t act, there is a snowball’s chance in Mumbai that India or China will. Of course, authoritarian countries have a little bit more leeway than democracies to push unpalatable remedies. But it is not within the power of even China’s autocrats to shove an energy diet down the throat of their people on the theory that the pain from it will be short-lived because it will trigger a search for better and cleaner energy alternatives—the totality of the green pitch for action. This doesn’t mean that there aren’t a few more whimpers left in the global warming movement before it finally passes. On the international front, the buzz is that the Fifth Intergovernmental Panel on Climate Change currently in the works will be even more alarmist than the previous one. However, thanks to ClimateGate, it will give greater play to alternative voices. “Going forward, the general perception won’t be one of consensus,” notes Cato Institute Senior Fellow Jerry Taylor, an expert on energy issues, “but one of increasing appreciation of disagreement on the issue.” Domestically, green groups will prod the Environmental Protection Agency to regulate greenhouse gas emissions more aggressively. But this will be harder to do when Republicans inevitably make gains in Congress in November. Indeed, they will likely revive a Senate resolution floated by Lisa Murkowski, an Alaska Republican, banning the EPA from regulating emissions from stationary sources, which lost by just four votes last month. Global warming warriors are also talking about fighting the battle for emission cuts state-by-state. But they will lose on that front too. California, which embraced such cuts four years ago, is already facing a ballot initiative in November to scrap the law, as it loses business and jobs to other states. Indeed, the same collective action problems that prevent global action on climate change will inevitably bedevil state-level action too. The global warming warriors will likely have to go through the five stages of grief before accepting that their moment has passed and the movement is dead. Thinkers more sophisticated than Krugman will no doubt point to many proximate causes for its demise beyond evil Republicans such as lack of engagement by President Obama, bad economic timing, filibuster rules, what have you. The reality is, however, that the crusade was doomed from the start because of its own inherent weaknesses. RIP. Shikha Dalmia is senior analyst at a Reason Foundation and a biweekly columnist at Forbes. This column originally appeared at Forbes. Read here. Researchers using lake sediment cores determine that severe weather for the northeastern United States has followed a cyclical pattern with a 3,000 year gap between each peak. 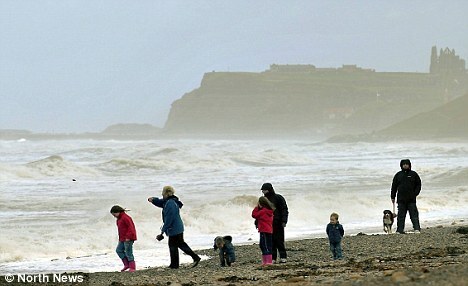 The latest severe weather period began some 600 years ago with onset of the Little Ice Age. The major forces driving this natural cycle are thought to be solar changes, along with changes in the Atlantic Oscillation (AO).Atmospheric CO2 levels are not even considered to be an influence on this natural cycle of storminess. 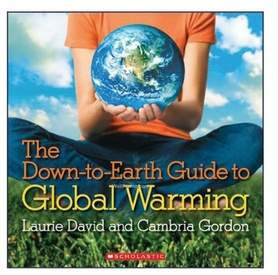 Millard Public Schools will stop using a children’s book about global warming — but only until the district can obtain copies with a factual error corrected.A review committee, convened after parents complained, concluded that author Laurie David’s book, “The Down-to-Earth Guide to Global Warming,” contained “a major factual error” in a graphic about rising temperatures and carbon dioxide levels.Mark Feldhausen, associate superintendent for educational services, this week sent a letter to parents who complained, including the wife of U.S. Rep. Lee Terry of Nebraska, outlining the committee’s findings.”Although the authors have pledged to correct the graph in subsequent editions, the committee recommends that this correction be made to all MPS-owned texts before using it with students in the future,” Feldhausen wrote. Corrected versions will continue to be used in Millard’s sixth-grade language arts curriculum, he wrote. However, the district will cease to use a companion video about global warming, narrated by actor Leonardo DiCaprio, he wrote. The committee found the video “without merit” and recommended that it not be used. Robyn Terry, the congressman’s wife, had described the video as a “political commercial.”Lee and Robyn Terry released a statement saying they were pleased with the decision and “impressed” by the district’s handling of the case. 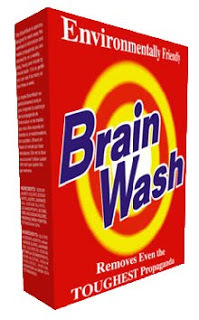 “We are pleased with their decision not to use the politically natured global warming video as a classroom instruction tool and that they have set a standard that information-based texts must be factually correct to be put in front of our children,” they wrote. 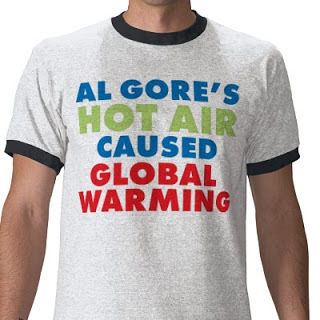 We’ve all sort of known the media have been in the tank for the global warming alarmist movement. 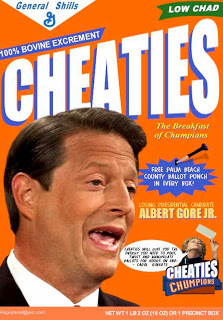 For evidence, look no further than a March 2008 segment that aired on ABC “World News” attacking leading climate skeptic, University of Virginia environmental scientist Professor Emeritus Fred Singer. And the same culprit behind that 2008 segment, “World News” weekend anchor Dan Harris, was at it again with a piece that aired on May 23 attempting to link climate change skeptics to white supremacists. But for balance, Harris included a few brief remarks, all of 10 seconds, from Marc Morano of ClimateDepot.com, a news aggregator website Harris called “aggressive.” But the actual interview Harris conducted with Morano was much more extensive and in depth. Throughout the interview, Harris asked Morano questions, but with premises that weren’t necessarily true. HARRIS: So we’ll just get your reaction, I know this is a complaint you’ve heard before, but of late, climate scientists say they’re seeing a big spike in threatening e-mails, and the FBI is looking into it and the scientists say that it’s stopping them from doing their work for some are quite scared. What is your – what do you think of this alleged trend? MORANO: Well, first of all, no one advocates violence. There’s always lunatics on any side of any hotly contested debate that will make threats or do threats of physical harm or death threats. No one is advocating that. But, what I will say is these scientists who for decades have been telling people that the debate was over, the science is settled and that we must act now. We must radically alter our lifestyles. We need to make all these changes in order to confront the crisis of global warming. That’s all been now exposed, especially the lie of consensus as a con job. The idea that all scientists agree with a con job, the idea, you know, that this was the best science that we can have was a con job. So right now, the public is very appropriately venting their anger to the very scientists who spend decades refusing to debate, suppressing dissenting opinion, trying to redefine what peer-reviewed literature meant and using the U.N. political process, which called — demonized skeptics as “flat-earthers.” And so, the public is appropriately angry at these scientists. And again, no one’s advocating violence but it is refreshing to see these scientists hear from the public, when you go to a used car salesman and you get conned, you get a lemon, you don’t go back to the used car dealer all happy and pleasant. You have a lot of anger and that’s what these scientists are appropriately feeling and that is why I actually published the e-mails, publicly available e-mails, of these scientists on my Web site, Climate Depot. HARRIS: Now, on ClimateGate, isn’t it true that several of the subsequent investigations exonerated these guys from cooking the books? MORANO: Right, you’re referring to Lord Oxburgh and these other reports? U.N. scientists have like laughed. Richard Tol, a lead author at the U.N. is laughing at this Oxburgh report and other scientists. This was essentially a light piece of paper – a couple of pages long. Didn’t interview any of the skeptics. Had a very narrow focus on what they were looking at and these were all warmists. The head of it, Lord Oxburgh, had massive conflict of interests that he never would have gotten away with had it been the other way around and say a skeptic was heading an oil-funded interest. This was a complete laughingstock investigation. And the bottom line is, we’ve seen the e-mails, we’ve heard the top U.N. scientists now turning on each other. I have a whole report of U.N. scientists turning on the U.N. saying it’s run its course, it’s time to disband it. Rajendra Pachauri, the IPCC chief should resign. So these little committees that get together that are all politically connected, full of global warmist, aren’t going to change the fact there’s a civil war going on within the U.N. over these ClimateGate e-mails. And the American people realize what ClimateGate was all about. You don’t need a committee to read the very words of these scientists. HARRIS: I recognize you’re no longer in the employ of Sen. [James] Inhofe. Let me ask you about his recent report. Some of the scientists we have spoken to say that of all the pushback they have gotten in recent months – the most disturbing thing to them was this report from Sen. Inhofe that named the 17 scientists and tends to raise the specter of criminal investigation or criminal charges. People are calling that “McCarthyite.” How do you — what’s your pushback on that? MORANO: No, I think he’s identified, if I’m not mistaken, 17 scientists that warrant further investigation. This is absolutely appropriate. These are scientists, many of them on the government dole, the United Nations money. These scientists who’ve actively been involved in at least the appearance of or actively involved in rebuking Freedom of Information Act requests – scientists who get public fund s to do research that have a lot of questions to answer. And for them to say, “Oh my gosh, what horror!” No, they’re on the public dime in many cases and they’re advocating public policy changes and radical changes to our lifestyles down to the toilet paper we use, down to the light bulbs we can use. Down to how much we’re going to be paying for gas and home energy, all based on their science which has now -been credible accusations that they have cooked the books. So it’s completely appropriate for the government to start looking at them and naming names. HARRIS: When you attack the consensus, that’s where I get a little confused because you can say what you want about the U.N., but you can also add in to their — you know, NASA, NOAA, the American Academy of Sciences, the American Association for the Advancement of Science, the American Geophysical Union, the American Meteorological Society, the National Academy of Sciences in pretty much every developed nation on the planet. How can you construct a consensus this broad on a hoax? MORANO: First of all, it’s not a “broad consensus.” What you just said there were political arguments. You’re insulting the intelligence of ABC News by using that as proof of a consensus. What you’ve done is – all those groups you’ve mentioned – the National Academy of Sciences, the American Meteorological Society, the American Advancement [of Science], the American Chemical Society – they’ve all had two dozen or so governing board members vote on a statement that is vaguely similar to what the United Nations says about global warming. Science groups don’t take direct votes of their member scientists. Most of the members we find out aren’t even aware these statements are issued at the time they’re issued. But what’s happened since is massive blowback. The American Chemical Society was shocked at the number of dissenting scientists upset at their stand. The National Academy of Sciences is having a big blowback. The American Physical Society is having a big blowback of member scientists. 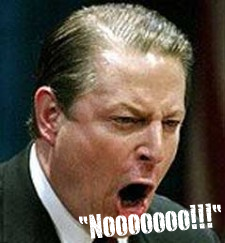 When you get away from that political governing board, the American Meteorological Society, it has been documented, has been staffed by former [Vice President Al] Gore staffers in their bureaucracy. Dan, you’re bringing up a political argument and masquerading it as science and that’s a disservice to ABC News viewers. Look at the actual scientific conferences. In Norway, in 2008 – I can send you the documentation. There was a scientific conference held only every four years – the Geological Congress. It’s called the Olympic event of scientists. Two-thirds of the scientists were estimated to be skeptical, hostile and dismissive of UN IPCC scientists. In Canada, 50,000 earth scientists canvassed – remember the member scientists, not the politically connected  board members – 67 percent rejected a consensus on manmade global warming. Scientists are speaking up around the world and the blowback against this call for Nuremberg trials for skeptics by Grist magazine, blowback against Robert F. Kennedy, Jr.’s saying coal barons who are skeptical need to be put in jail. That’s your consensus, Dan? I think you can do better than that. HARRIS: One last question. You alluded to this, but I want to give you the chance to flesh it out a little bit. Somebody from Sen. Inhofe’s office made this point. I think it’s an interesting one. You made it as well – that scientists and others who have skepticism about climate change have been harassed as well. MORANO: Yes, I have an entire documented report. Let’s start from the top. On Climate Progress, Joe Romm’s blog, he defended a post saying the future generations will strangle climate skeptics in bed. Talking Points Memo had a piece that said when will climate skeptics be executed, when can we start punishing them now for what they’ve done? Grist magazine, I mentioned the Nuremberg-style trials. I mentioned threats and intimidation. I had two e-mails that were threatening to me that the Sergeant of Arms in the Senate had to investigate. So, I laugh when I hear these scientists say, ‘Oh these are threatening e-mails.’ Skeptics have been getting these for years. Talk to Tim Ball in Canada, the climatologist who’s skeptical. He’s gotten death threats. There’s been reports in, I want to say Europe. I can’t remember the guy’s name, but I can get it for you. There’s been reports about skeptical scientists in Europe having their tires flattened after receiving threats. So threats are on all sides of this. There’s no way we can look at this and say, “Oh these poor ClimateGate scientists” or “poor U.N. scientists.” The bottom line is they were at ground zero perpetuating a con job of the illusion of a consensus. They deserve the public wrath they’re getting. It’s refreshing that they’re finally getting a hostile reaction. They’re not in their little cocoon of the U.N. or the mainstream media like ABC News. HARRIS: Are there other points that I have not given you a chance to make that you feel like I should – that need to be made? MORANO: Yeah, other than just public opinion – you know Richard Lindzen had a great quote: “The educated are very vulnerable to manmade climate fears, but ordinary people see right through them.” And the bottom line is whether you’re talking Australia, Canada, Europe, England, India, South Africa, America – skepticism has grown by leaps and bounds. We now have more Americans believing in haunted houses than manmade global warming. That’s scientific progress and that is why these ClimateGate scientists and the U.N. scientists are in a panic. That and their civil war going on. Again, I can send you a report of all the scientists turning against the U.N. Lead authors, former chairmen, former members. We have reports of scientists leaving. It was the best science politics can manufacture and it’s been exposed through ClimateGate and now through the civil war going on in the U.N. and it’s about time. The American people can breathe a sigh of relief. People around the world can breathe a sigh of relief. This whole manufactured crisis is ending. It’s dying and we’re watching the last throes of it and we should all be happy about that. HARRIS: Marc, thank you for doing this. I appreciate it. MORANO: Thank you, Dan. I appreciate it. HARRIS: Have a good rest of your weekend. MORANO: Alright, I’ll expect to do a rebuttal to your piece on Sunday night or Monday morning. So look for it. I don’t expect the — I think you did the Fred Singer piece last year, which was atrocious reporting. I believe that was you, right? You did the piece on Fred Singer? HARRIS: I did the piece on Fred Singer. MORANO: So I’m not expecting much from you, but we’ll have fun. HARRIS: Well, thank you for having low expectations. MORANO: I have very low expectations. The AGW hypothesis states that human CO2 emissions will cause the world to warm, with the the globe’s polar areas being especially vulnerable to rapid warming, due to CO2. The evidence from the last 1,000 years plus does not support the hypothesis. Near-Surface Greenland Air Temperatures: 1840-2007 is a new paper analysing Greenland temperature data and has come to the conclusion that Greenland was warmer in the 1930’s than now! It is interesting to note that the 1930’s were the warmest in the US also – I wonder how widespread the 1930’s warming actually was or if this is just a co-incidence.